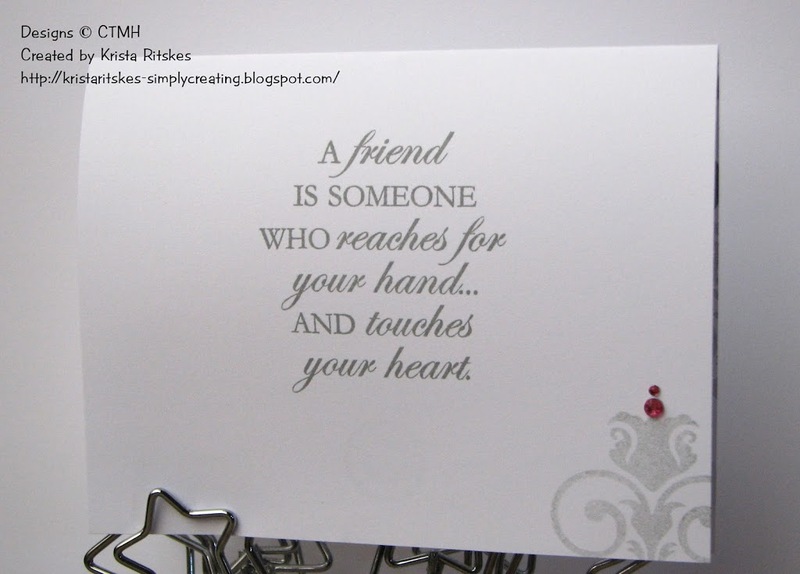 It’s time for another blog hop with our fabulous February Stamp-of-the-Month, Friendship. This month we have such a classy stamp set, full of damask images to create beautiful, classic, sophisticated artwork. If this is your first time experiencing the blog hop, just grab a cup of your favourite beverage and a snack and settle in for some stunning inspiration with this stamp set. Just click the link at the end of each post to take you all around this circular hop. When you end up here, you’ve hit them all. If you’ve come here from Debra’s blog, you’re on the right path. Did you know that Grey is the new Black? I love how it looks with a pop of Cotton Candy pink on this card. I’m going to have to use it more often. I was tempted to make another one with Blue or Green sparkles, but I ran out of time. The grey is looking a little black in this image, and the sparkles are a little washed out. I apologize. We’re painting my workshop space and I couldn’t find what I usually use for backdrops, forcing me to resort to other methods. You’ll have to imagine things are brighter. 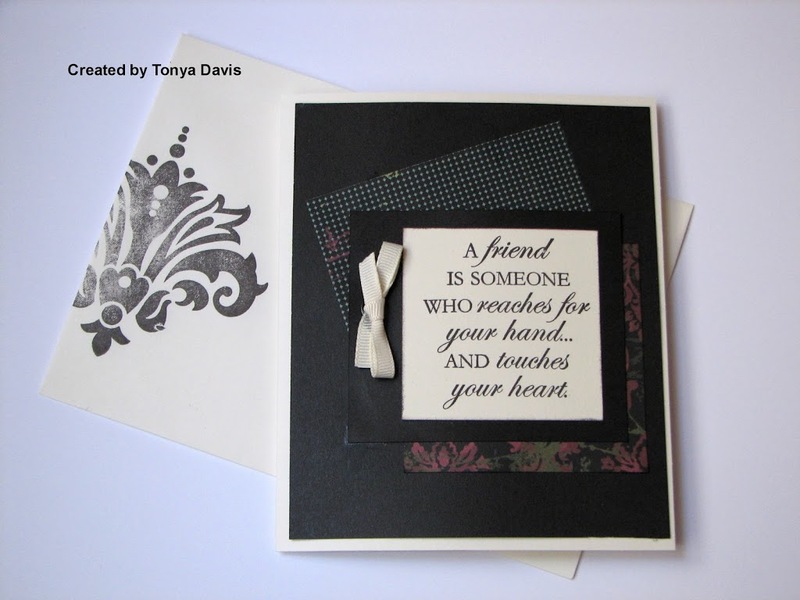 I used my favourite image from this set and stamped it numerous times right on the card base, using Grey Flannel. Then, using the same colour, I stamped the sentiment and matted it with the back of one of the papers from the new Sweetheart Level 2 paper pack. I went all out with the pick sparkles. I love those coloured sparkles! The damask image is stamped in second generation, with a couple more sparkles on it. What a lovely sentiment that is! So pretty and elegant, and I love how the big image stamped on the envelope just has that “old-world” feel to it. Great job, Tonya! Now, it’s time to hop on over to Georgia’s blog and check out the gorgeous artwork she’s created with this set. Thanks for stopping by. And please, leave Tonya a little love and tell me what colour you would pair with Grey. What a gorgeous card! Love the lighter and darker grey and the sparkles. Love it! I like the generational stamping here! So very pretty! Grey is definitely the new black. 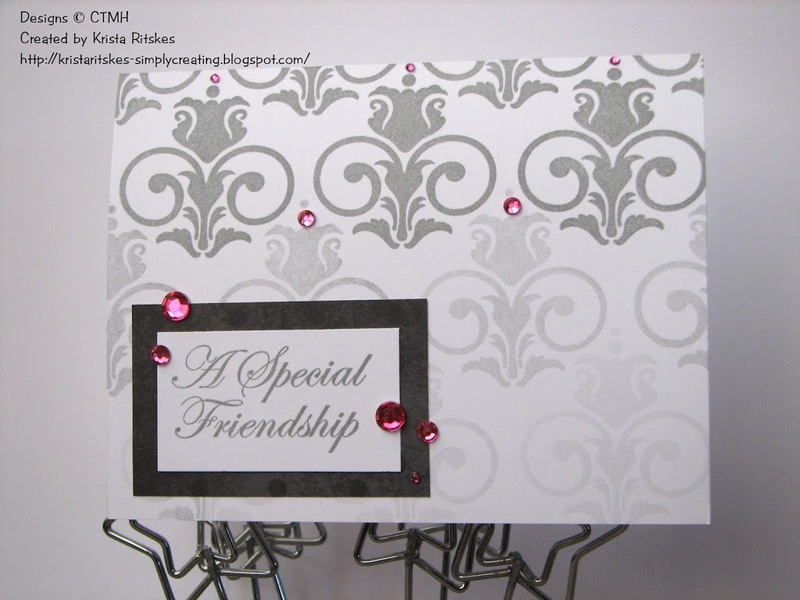 Very nice – love the neutral cards, they stand out with this stamp set. Pretty cards…love the grey and pink on the first one.